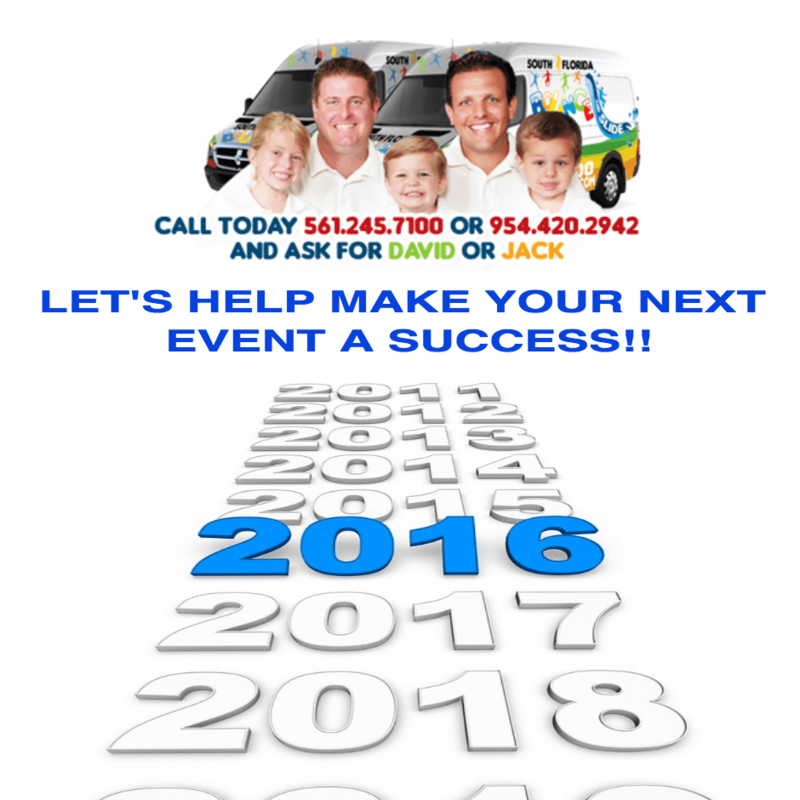 Are you thinking about hiring an event planner for your next even? Consider these tips from the team at South Florida Bounce. In the event that you should ever have to hire a party planner, we may have a few ‘Pearls of wisdom’ for you. While no one will argue, there’s a lot of party and event planners in the South Florida area, it’s best to select someone you either know or have a referral. But if you don’t, we compiled a few tips that may come in handy. Pass this on if you’re in the market for one of these incredibly hard working individuals help you with the next Smith Family Swaraj. Write down everything you want to do for the party. Break down what you want the event planner to help you with, then add what the planner’s responsibilities are, what yours will be (if any) and then what you’ll work on together. Listen to the planner, once you’ve agreed on a plan. Get what you paid for by letting this person assist where they are needed. Try hard not to get in their way, by offering limited direction and control. Finding a reputable planner is easy when you live in an area where everyone you know is in the hospitality business. They’ve probably got event planners coming out of the palm tree prawns. Ask for their recommendations, then check their references and make sure you get a good report from places like the Chamber of Commerce or any other association the planner may be involved in. Don’t waste time, it’s the only one thing you can never get back. By living a life of demanding to get what you paid for or bust is perfectly acceptable. If the planner isn’t doing a good job for you, never be afraid to go in another direction. Most people you encounter will want to carry out a good reputation. But don’t waste your own time or theirs if you aren’t happy with their performance. If they’re new, be gentle but let them know why it isn’t working out. They will be glad you did later on. Ask for a proposal, once you’ve determined a budget. That should be in writing with a break-down of work expected. A work for hire agreement is one that may be expected to be signed by both parties. The planner should have these items, since these are industry standards. Remember that these folks do not have to be licensed and are not regulated by the government. Do your due diligence and expect a background check to be done. Especially if this person will be given permission to pay for charges with your credit card or if they’ll be involved with entering your home. Safety first, a good event planner will be understood and should be willing to accommodate. Negotiating their prices is perfectly legal. Ask them to go lower if you feel that other people have offered a greater value. On the flip side, tip them if they are deserving of a job well done. The most important element here is to remember why you’re throwing the party or event in the first place. Although it’s normal for many people to get anxious when planning a big celebration or corporate outing, but getting the right person to help you can make a big difference. By making a solid and agreeable plan before throwing the party, having a realistic budget and a good working relationship with your planner will make your life easier. If you’re looking for Bounce House Rentals in South Florida or are an Event Planner contact us for Industry Rates. If you are looking for Bounce House Rentals in Lake Worth, Palm Beach or Broward County give South Florida Bounce a call for all of your party rental needs.